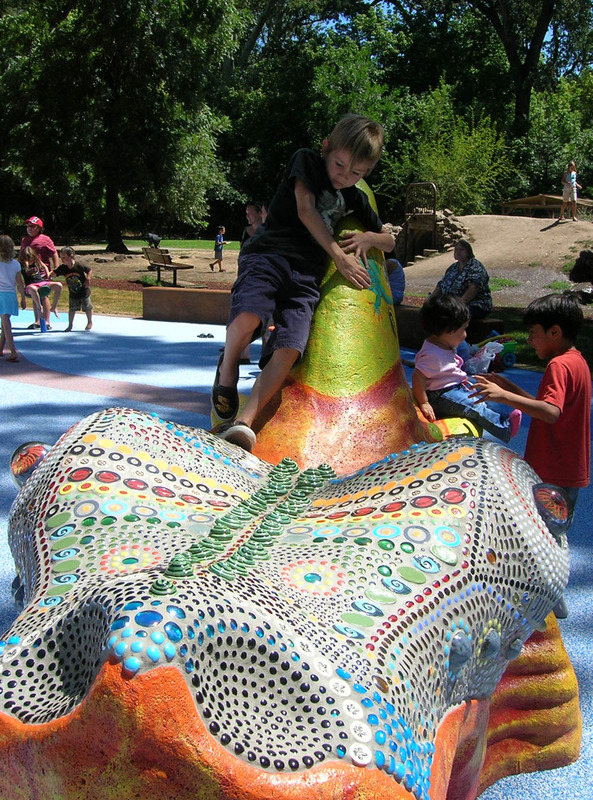 Caper Acres, a kids’ park in Chico California, opened a new section for kids to play on called the Nico Project in July 2007. 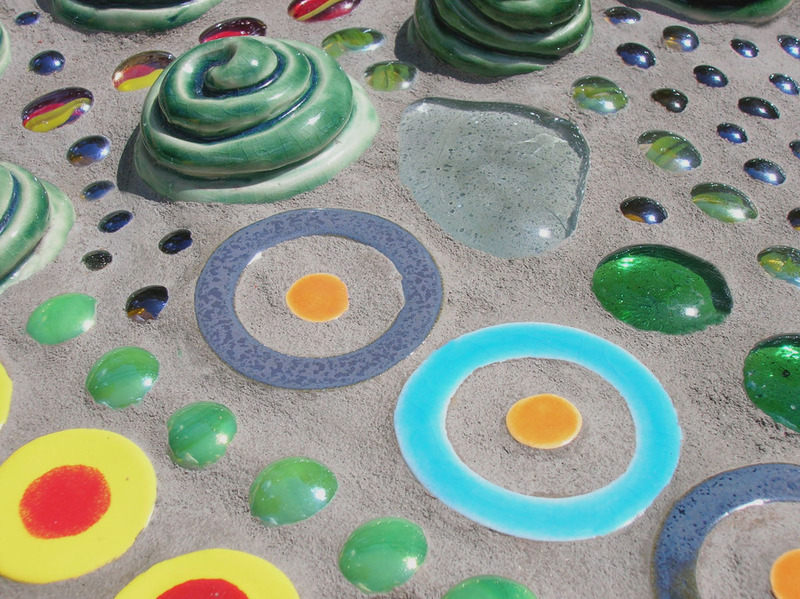 The project includes a large mosaic sea serpent that bobs in and out of rubbery mat “water” forming a circle of play structures around an “island” with a shipwreck play structure. 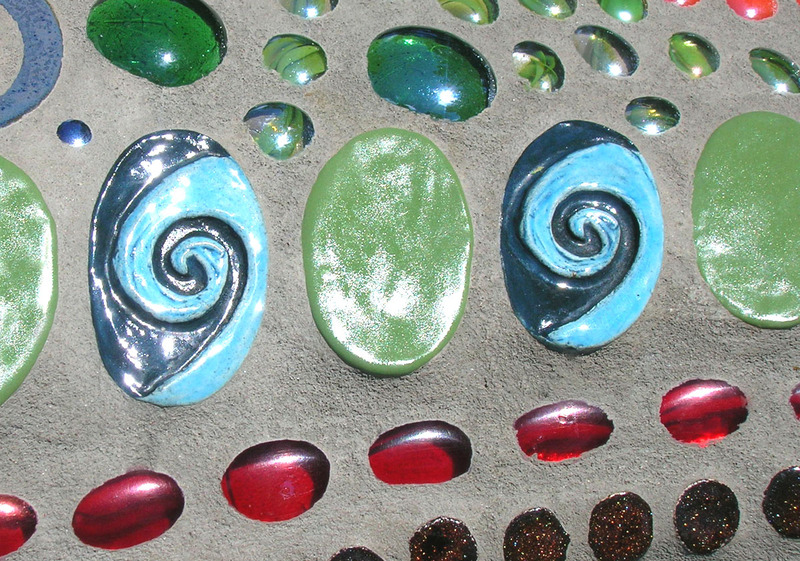 I created dozens and dozens of hand-made tiles to adorn the serpent and his five humps and tail that reach out of the water-like-flooring. 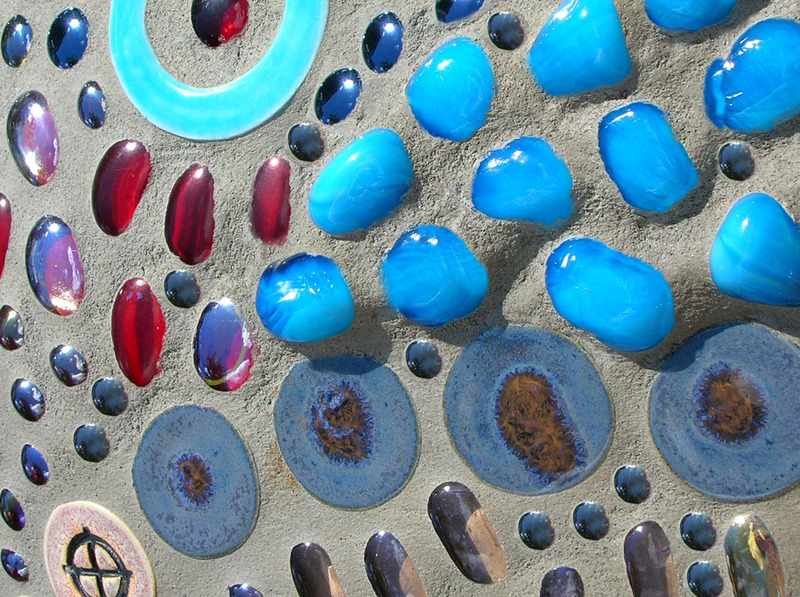 It was important to me that all of the mosaic portions be of whole tile and included no cut pieces or shards to maximize child-friendliness. 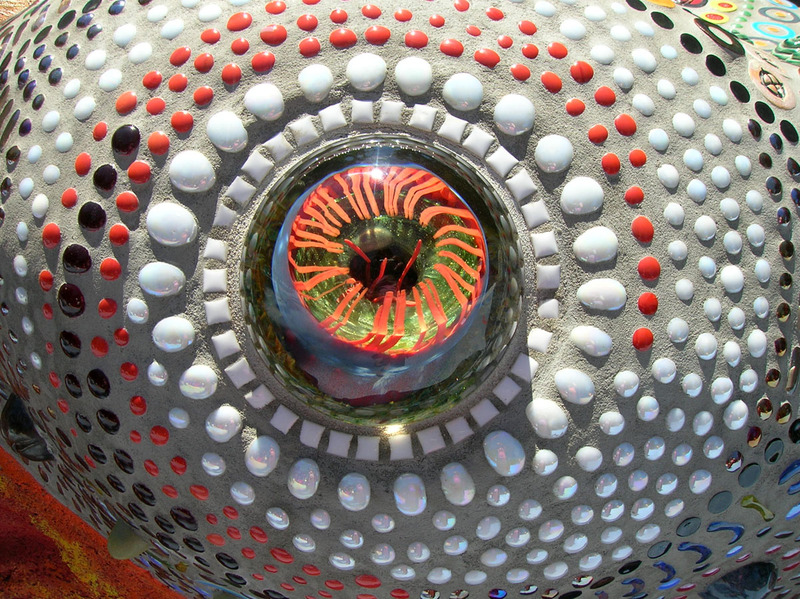 The amazing glass eyes were donated by local glass artisan, Rick Satava, of Satava Art Glass. The serpent itself was manufactured in Redding, and, I’m told the mold for it did not survive, which makes this a truly one of a kind creature. 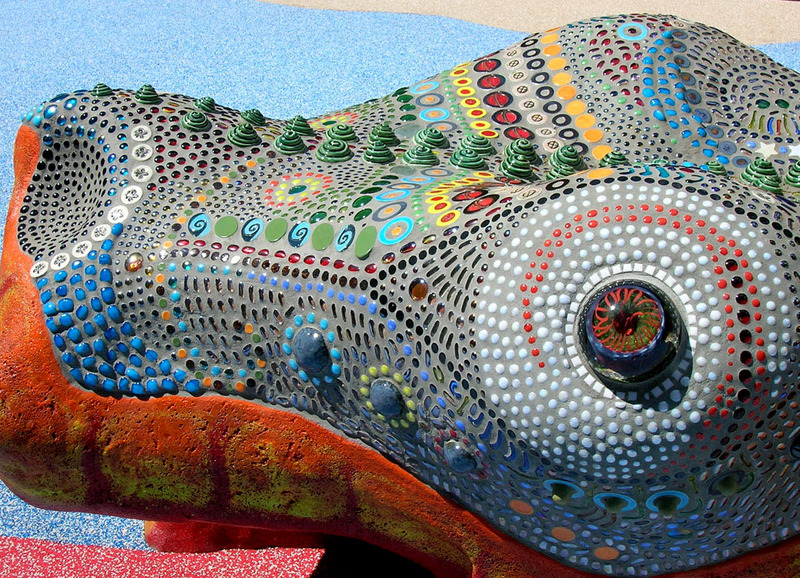 The paint on the serpent was by local artist Gregg Payne. 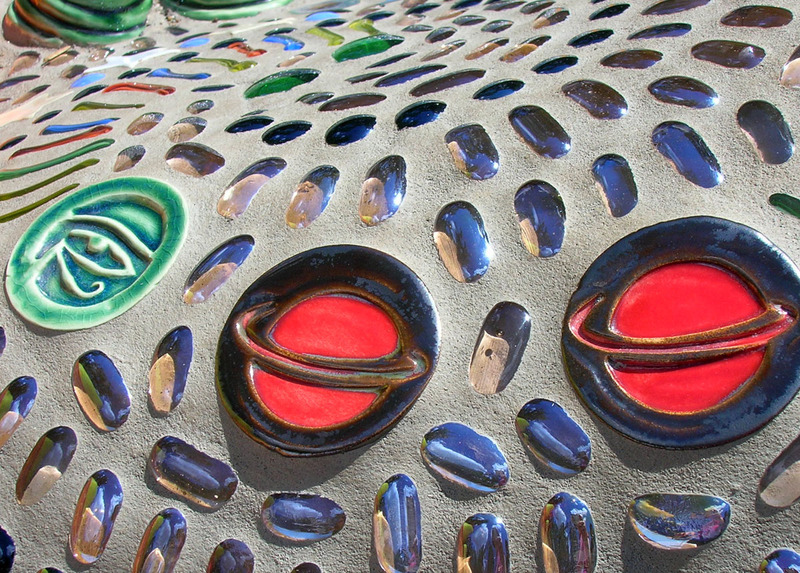 It took months to stockpile the handmade tiles that would later adorn the giant sea serpent. 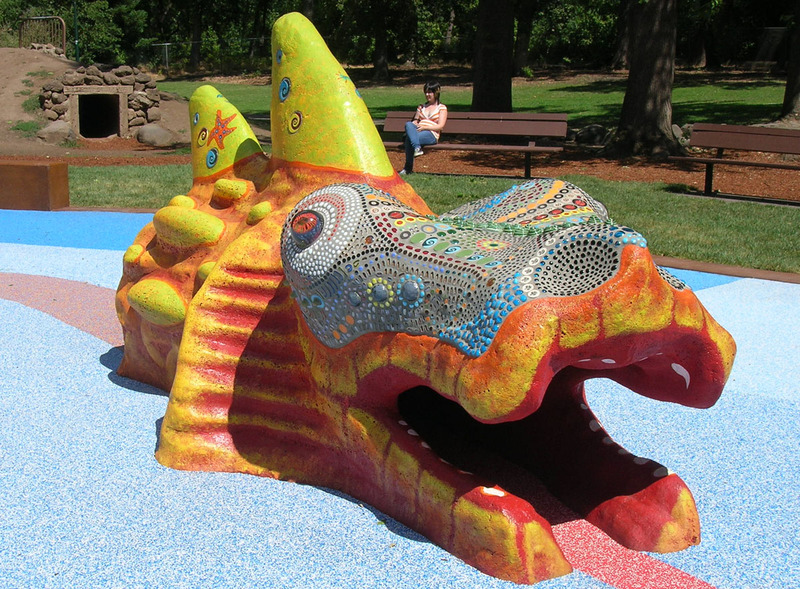 The serpent was brought from Redding to Chico on a huge flatbed truck and lowered into place by crane. 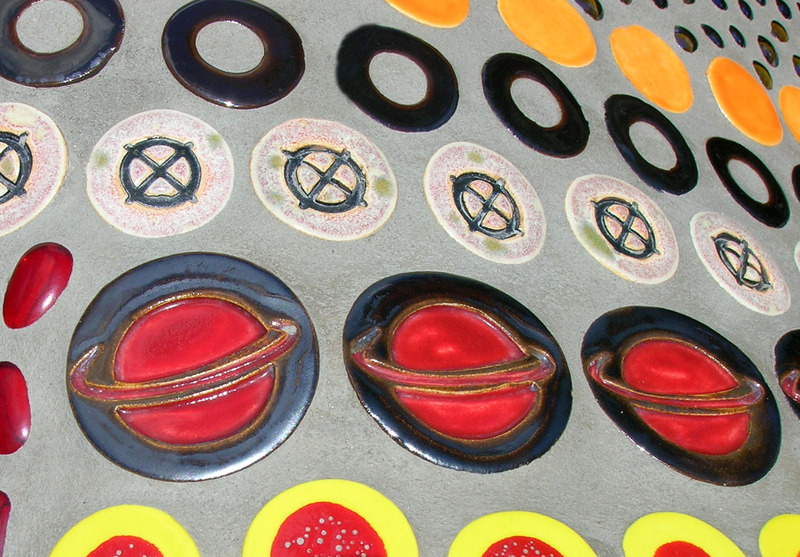 Laying the tile and glass marble gems took about a week and a half, and then it was grouted, sealed and finished!